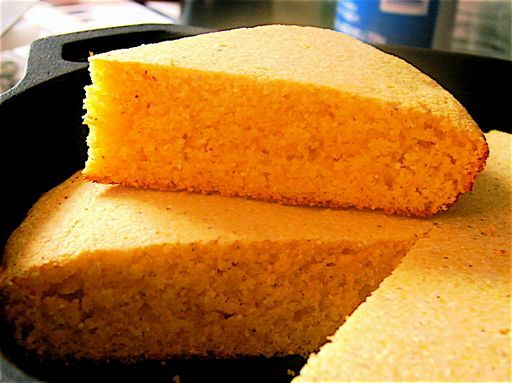 This moist cornbread with a crisp, golden crust is great with pintos or any other bean dish, chili con carne or for making your favorite stuffing. Preheat oven to 400 degrees F (200 degrees C). In a small bowl, combine cornmeal and milk; let stand for 5 minutes. Grease a 12-inch diameter iron skillet or 9×13 inch baking pan.